Oops, I did it again! Hope you guys are not bored of me constantly posting different versions of the same patterns. 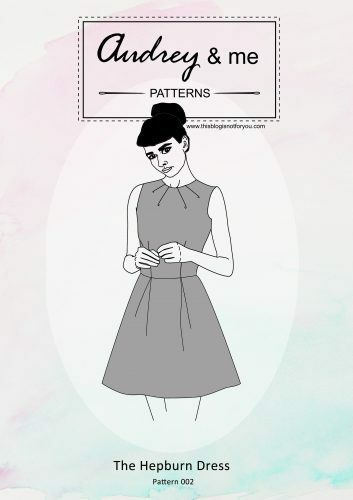 Not being a student anymore it’s harder to find time to sew and sometimes it’s just easier to grab a pattern that you already traced and fitted. I always hated shopping for trousers, so sewing them is just as daunting. I was positively surprised and super happy with the fit of my first pair of Ultimate Trousers and knew that I would be making more. I actually made this pair quite a while ago and have worn it many times since. I only made very few alterations to the pattern (a little more ease around the knees to make sitting down more comfortable!). 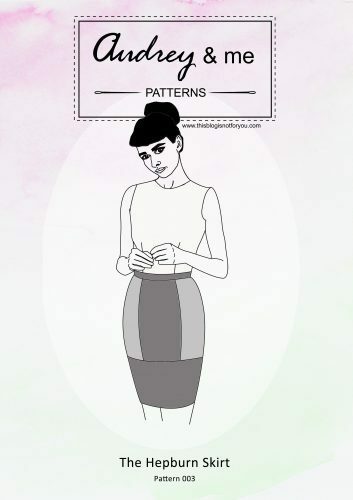 The pattern is great for fitting your first pair of trousers if you’ve never made one before. This time the fit is even better as I made them a bit wider around the knees and used a slightly stretchier fabric. For some reason I used to hate floral patterns but nowadays I really love them (the big bold ones). The fabric is a lightweight cotton with a bit of stretch – perfect for summer! 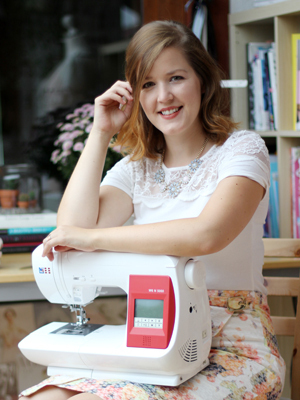 It was a dream to sew with. It creases a bit but because the fit is quite tight and the print very busy I don’t really bother. I didn’t iron the trousers before taking these pics, so as you can see, it’s not really necessary. Will I make it again? There’s no reason why not. I seem to always need new trousers in a different colour or print and since I hate trouser-shopping I’ll happily whip up some more versions of this one! I might try and raise the waistband a bit next time of maybe add some pockets. Also, this style is perfect for my profession where wearing jeans isn’t always allowed. It would be silly not making the most of a well-fitting trouser pattern! The heat’s unbearable, so I’m off to Iceland for two weeks! I won’t be able to sew, but maybe I can visit one of Europe’s largest fabric stores! These are so lovely, trousers are on my agenda very soon. Enjoy wearing them. Such a great pattern and fits well also. I love all florals. Thanks. I went to Iceland in July last year – really lovely. You have got SUCH a good fit on those Ultimates. Great trousers, I’m just making my first pair and they do seem easier to fit than most trousers. Iceland, you lucky thing, have a great time. Great fabric choice! They go great with your top. I can’t believe I haven’t sewn a pair of these yet. I keep waiting for myself to lose a little more weight!